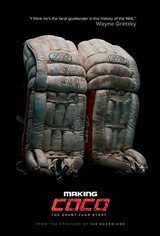 Fuhr, along with a number of his teammates, will provide a never-before-seen exclusive look into the high-flying Oilers dynasty of the 80's, what made them so successful, and the infamous challenges that they faced. All-time rivals will speak to what it was like playing against the greatest goalie on the greatest team in the NHL's 100-year history. Those closest to Grant will take the audience on a journey behind the mask to understand who the mixed-race superstar truly is.